Manage systems capacity & performance of Customer Experience Systems. Manage data for Call Center, Digital care and TNPS Applications. Ensure systems and applications security. Manage system problems, Incidents and requests as per the SLA. Assist in acquiring and maintain technology Infrastructure for Customer Experience Applications. Installation of applications on Customer Experience Applications servers. Manage changes to the systems or applications via change management process. Administration of all CE applications users. Installation, Configuration, fine tuning, and optimization of CE systems software and applications. B.Sc. in Computer Science or Electronics and Communication science with not less than 2 years’ experience. 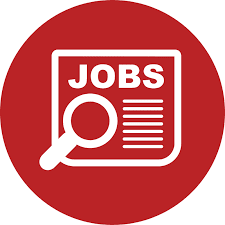 The Head of HR Services role is based within Human Resources, Support Functions. The job exists to ensure the development, implementation, and management of Compensation & Benefits strategies and HR Services, policies and procedures throughout the company. 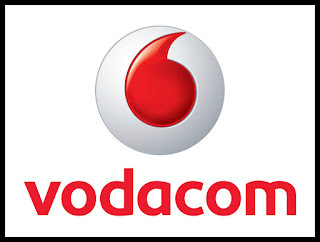 This includes responsibility for building Vodacom Tanzania’s reputation as a company that offers competitive compensation and rewards and ensuring excellent employee experience during the tenure of employment. Accountable for the operational delivery of HR Services, aligned with the People Strategy, partnering with the HR Business Partners and Centres of Expertise. Heads up the Tanzania HR Services function and operate as part of the HR Services vertical from an organisational, functional/operational and financial perspective. Responsible for the identification and carve-out of HR Services employees and processes at Opco level and migration to the HR Shared Service Centres. Liaise with International HR in ensuring alignment of Vodacom Tanzania’s strategy and policies to Group Compensation and Benefit strategy and policies. Regularly report on Compensation and Benefits trends in the company such as commission schemes, incentive schemes, airtime usage, etc. on a monthly/ quarterly basis and to advise management on managing such trends in conjunction with HR. Conduct job evaluations and to advise on salary scales and internal pay equity. Manage Payroll Administration in ensuring company compliance with statutory and policy requirements pertaining to Compensation and Benefits for staff, including pensions administration, medical insurance, personal accident insurance, etc. Manage the annual Salary Review and Incentive exercises for staff, ensuring compliance to Group as well as local standards and requirements.